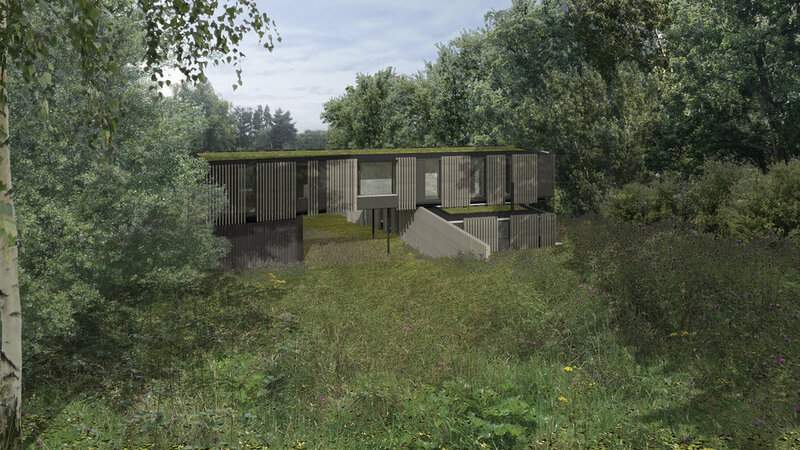 For this project we worked alongside Planning Consultant Roger Wilson to propose and submit a planning application for a single private dwelling on Corstorphine hill, Edinburgh. Within the ecologically-rich wooded site, it is proposed that the building would be divided into two wings, a lower living range and an upper bedroom range. Raised by ‘piloti’s' from the ground, it was important to enhance the permeability of the site and maintain the pedestrian route through the landscape. The material architectural language aims to create a light touch on the ground and the untreated timber screens make reference to the woodland around it while opening and closing the views.